The Churchville Nature Center is hosting its annual Anthropaloosa, a weekend-long celebration of things insects and anthropods with tons of kid-friendly activities like scavenger hunts, beekeeping demonstrations and hissing cockroach races! The New Hope Auto Show returns for its 61st year, featuring a the finest in classic, antique, foreign and domestic vehicles – plus enjoy the show’s first food truck festival! 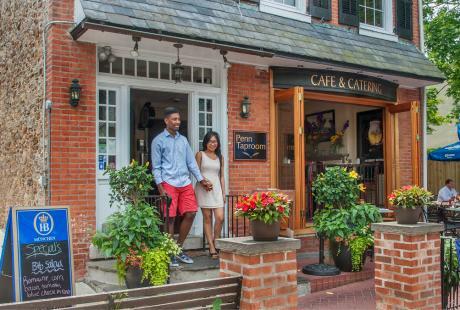 Shop sweet deals and savor all things peach during the annual Peach Festival and Sidewalk Sale in the beautiful Peddler’s Village! NOTE: Look out for event cancellations due to this weekend&apos;s inclement weather! Charity Movie Night returns with the 1992 Brendan Fraser/Pauly Shore/Sean Astin comedy Encino Man! Hang out at the taproom and enjoy some brews to help benefit this month’s charity, the Middletown Skate Park. When: August 10, 7 – 9 p.m. When: August 10 – 12, 7:30 – 9:30 p.m. When: August 10 – 12, 9 a.m. – 5 p.m. When: August 10, 6 – 9 p.m. When: August 10 – 12, 11 a.m. – 3 p.m.
Dean Martin, Sammy Davis Jr., and Frank Sinatra will appear together again as the Rat Pack for a night of songs and laughs that will make you feel like you are living in the golden era of Las Vegas! When: August 10, 7:30 – 9:30 p.m. When: August 10, 5:30 – 10:30 p.m.
Visit the Peace Valley Nature Center for a short hike and marshmallow roast around the campfire. Make some s’mores and gaze at the stars! When: August 10, 7 – 8 p.m. When: August 10 – 12, 10 a.m. – 5 p.m.
Bring the kids for a kid-friendly performance of Rumplestiltskin at the Acting Naturally Theatre. Expect a show full of magic, spells and dastardly plots! When: August 10 – 12, 10 a.m. – 4:30 p.m. When: August 10, 7 p.m. 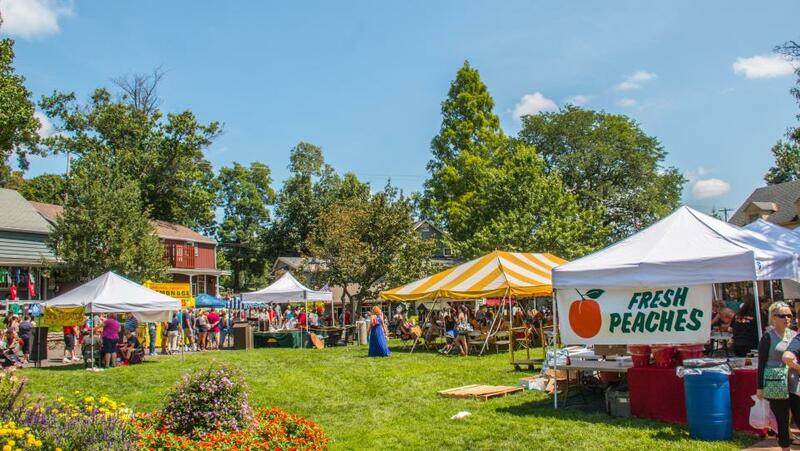 Celebrate National Peach Month at Peddler’s Village during their Peach Festival & Sidewalk Sale, featuring plenty of peachy treats, sizzling shopping deals and family fun! When: August 11 – 12, 10 a.m. – 6 p.m.
As part of their Music to the Rescue series, Lulu&apos;s has an all-star line-up of national and local musicians for an all-day outdoor music festival filled with tasty food, kid-friendly entertainment and awesome vendors at the beautiful Paxson Hill Farm in New Hope. When: August 11, 12 – 8 p.m. The Trenton Punk Rock Flea Market returns to Neshaminy Creek Brewing Company for their annual Summa&apos; time show in beautiful downtown Croydon, PA! Attendees can look forward to over 100 unique vendors, delicious food trucks, the full line of Neshaminy Creek beers and more! When: August 11, 12 – 7 p.m.
Visit the Churchville Nature Center for a weekend full of insects, anthropods and everything without a backbone! 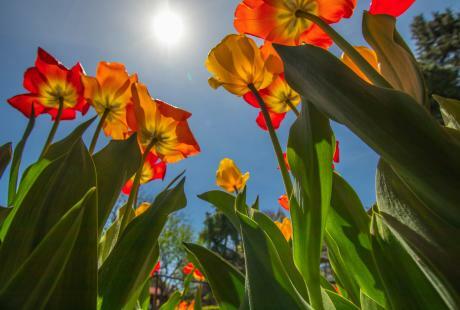 Meet a beekeeper, hang out with tarantulas, watch hissing cockroach races and more! When: August 11 – 12, 11 a.m. – 4 p.m. Experience the ways kids in the Bucks County area race and compete during Kids Who Race Day at the Mercer Museum. Try your luck at family-friendly competitions and activities such as the Mercer Stakes, Rollo’s Relay Races, Hot Wheels Racing, Pinewood Derby races and much more! When: August 11, 11 a.m. – 4 p.m.
2nd Saturdays with Faraway Guys at Naked Brewing Co. Check out the Naked Brewing Co. to enjoy food truck cuisine by Chuck’s BBQ and live music by the Faraway Guys during its 2nd Saturdays celebration. When: August 11, 5 – 10 p.m. The New Hope Automobile Show’s Second Annual Vintage Road Rally kicks off the 2018 New Hope Automobile Show weekend! Browse vintage vehicles, compete in a fun scavenger hunt and bring your own car to participate in the rally! Reservations are required for Rally participants. Gallery Des Artistes invites guests to a photographic exhibition of Marilyn Monroe and other Hollywood Legends by noted photographer Lawrence Schiller. When: August 10 - 12, 11 a.m. – 7 p.m. When: August 11, 7 – 9 a.m. When: August 11, 3 p.m. – 12 a.m. Enjoy eclectic folk/pop/punk music under the open sky with Honey Hill! 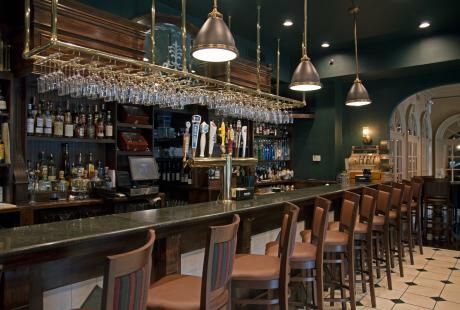 This is a BYOB and picnic-friendly event, so explore nearby take-out eateries around Yardley. When: August 11, 6 – 8 p.m.
Acting Naturally Theatre’s talented cast is performing a series of one act plays, including tales about thieves, an unnerving hospital and passing strangers! When: August 11, 4 p.m. 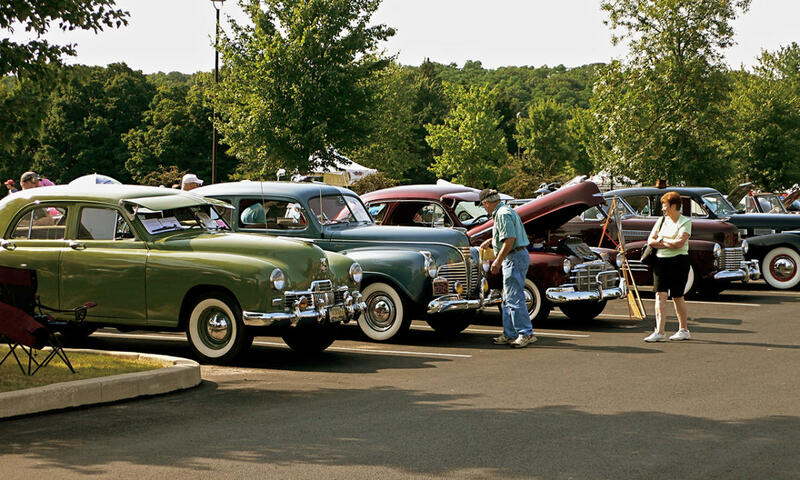 The New Hope-Solebury Community Association will present the 61st New Hope Automobile Show, featuring the finest in classic and antique, foreign and domestic vehicles. Vote for your favorite vehicle and enjoy loads of delicious food truck vendors as you browse the show! When: August 12, 9 a.m. – 4 p.m.
Nancy Wilson of Heart is ready to rock the Xcite Center with her band Roadcase Royale! Fronted by former Prince collaborator Liv Warfield and Nancy Wilson, co-founder of Heart, Roadcase Royale has a rich background in rock and R&B. When: August 12, 7:30 p.m. The Heritage Conservancy and Silver Lake Nature Center is hosting a free day of family fun at Silver Lake Nature Center! 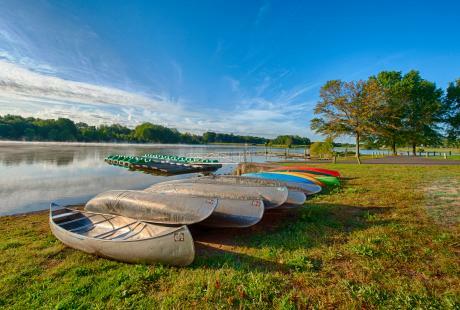 Participants are invited to walk the trails, connect with nature, meet live animals, enjoy a free Intro to Kayaking demonstration and more! When: August 12, 12 – 3 p.m. 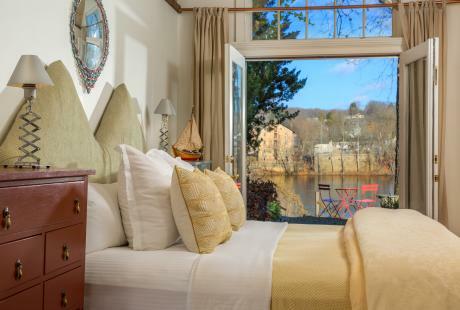 When: August 12, 4 – 7 p.m.
Tour the historic Craven Hall and the John Fitch Steamboat Museum to learn how the early Dutch families, the Cravens, Vansants & Bennetts lived and learn about the beginnings of modern transportation with the invention of the steamboat. Listen in on the first documented protest of slavery in America during this historic gathering which was originally held at the Germantown Meetinghouse. Presented by the Pennsbury Manor! 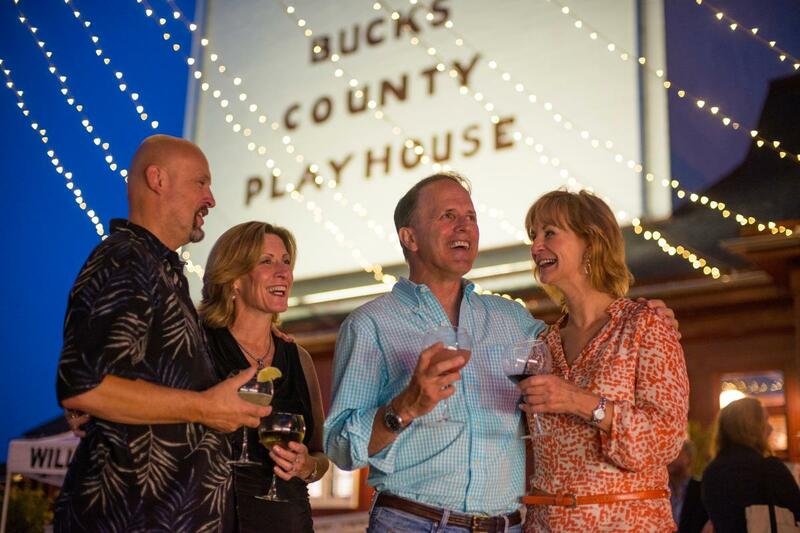 When: August 12, 1 – 4 p.m.
Parx Casino is hosting the Bucks County Tour of Honor 1st Annual Car, Truck & Motorcycle Show! All proceeds benefit veterans’ transportation to War Memorials in Washington D.C. When: August 12, 11 a.m. – 3 p.m.